Spyder is prized for its sleek, streamlined outerwear that's designed to go fast. Whether you're in training for the Super G or just love to tuck and bomb, the Spyder Youth Speed Jacket tackles the hill at your preferred pace. From the outside in, this kids' jacket is all about comfort and weather protection. Stretchy, woven shell fabric is coated with 20K waterproofing, delivering long-lasting, weather-tough moisture protection. Inside, premium Thinsulate™ (120g) insulation keeps you feeling warm from the first run to last legs. The Speed jacket adjusts at the hem, underarm vents, and thumbhole-equipped cuffs, and its snap-on powder skirt adds another barrier against the snow. 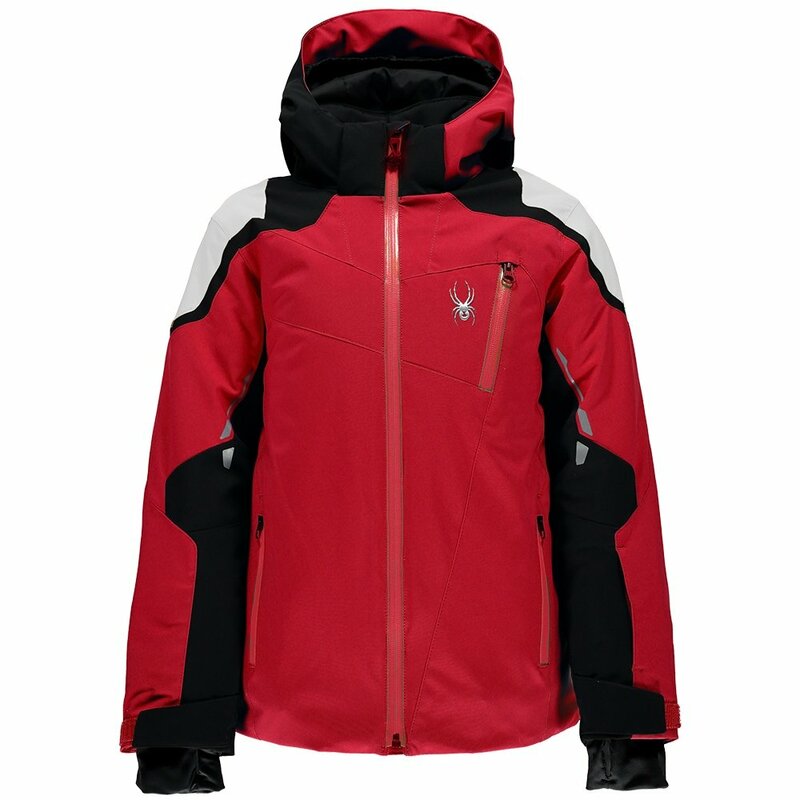 It comes with plenty of water-tight pockets, removable hood, reflective details and a built-in lens wipe. 3M™ Thinsulate™ Insulation (120g) helps you stay warm and toasty. Stretch fabric with 20K HydroWEB™2.0 Laminate prevents moisture from penetrating shell. Water-tight AquaGuard® zippers block moisture from leaking in.